There is no way better to get the right customers to your website than online advertising, from Google advertising to Facebook adverts, LinkedIn, Twitter and more. The Tekcabin team are very experienced in managing large budgets for advertising. The wealth of experience we offer means we can optimise campaigns for you to get the best results in driving traffic, interaction and more importantly converting to enquiries and sales. Let Tekcabin manage your online advertising activities for you and use us as your marketing team. No need for an expensive marketing department as we are here for you. Let us know your objectives and we will provide you with solutions. Our advertising services are some of the most competitive online. 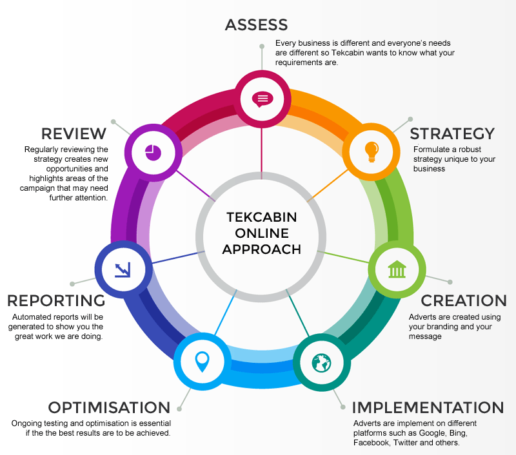 Work with the Tekcabin UK based team to ensure your online advertising runs smoothly and effectively on popular advertising platforms.